The way I see it, kale is kind of like the skinny jeans you discovered back before everyone else thought they were cool. You genuinely liked them. You saw them for what they were. But now, living amongst the hipsters of East Nashville, you look like you’re only wearing them because the guy sitting next to you is. 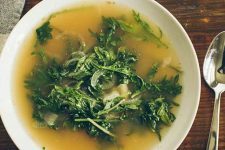 It doesn’t matter if it’s served as addictive chips, an ingredient in green smoothies, or the main component of salads massaged with oil – kale is cool. It’s giant sunglasses, “The Bachelor,” and rehabbing your kitchen to look like a magazine spread. It’s Pinterest. And if you’re a person like me, someone who’s used to rooting for the underdog and comfortable talking about obscure and often unnoticed things, it feels a little strange to get excited about something that’s gotten so big. It’s like you’re cheering for a team as they win the Superbowl, or promoting a movie when it’s already won Best Picture. It feels like by pushing this product, this ingredient, you’re trying to ride on its coattails. Like you’re trying to be cool, too. Here in Nashville, there’s this beautiful brunch spot that I love, one with farmhouse tables, tall windows, mason jars, and local foods. It’s a cafe that holds the distinction of being the first place where I enjoyed a meal in this city, on the day before I met Tim, the man I’d eventually call my husband. Today, you go there on a Sunday morning and you’re looking at a two-hour wait for breakfast. Two hours. If you ask me, that’s too popular. It’s a place that’s meaningful for me, and memorable, but I think I’m done with it. You could argue that when something gains that much status, when it’s that acclaimed and that beloved, it doesn’t matter much if a single individual stops liking or reading or following it. And that comforts me. I can opt to move away from the crowd, knowing nobody’s going to be too hurt in the process. But on the other hand, there’s kale. What could I possibly tell you about kale that you don’t already know? At least half of you have a bunch or two in your fridge right now. 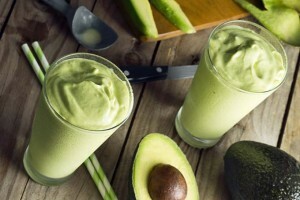 You’ve eaten it, you’ve juiced it, you’ve added it to smoothies. Kale has become commonplace. It’s mainstream. I know. 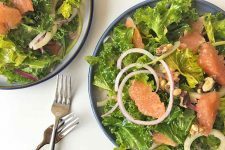 It’s true that kale is one of the most nutrient dense vegetables out there, but you’ve heard that already – probably even seen evidence of this on charts in the produce section of your local Whole Foods, if you have one nearby. The following revelation might not be shocking or surprising to you. But I’m going to tell you about it anyway, because this delicious concoction was something completely unfamiliar to me before I tasted it, and it was the best thing I ate all month. 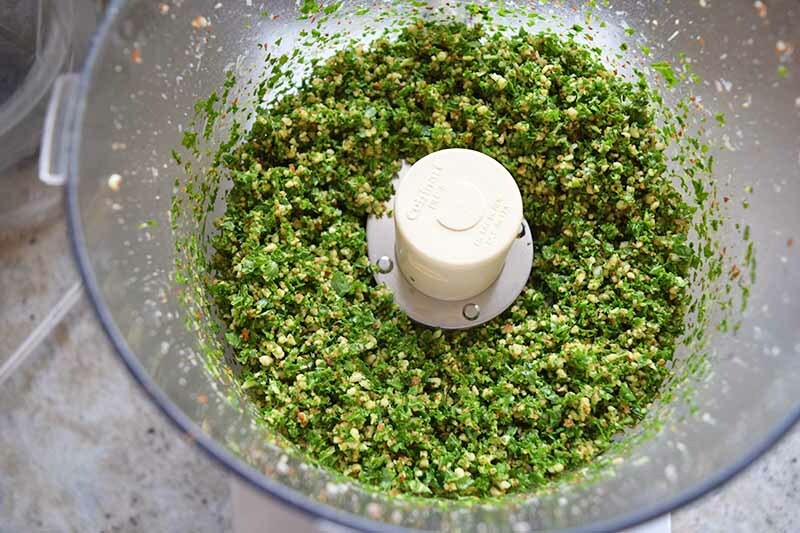 Kale makes a killer pesto. Inspired by the haul at our first CSA pickup of the season, when our bushel box held two kinds of kale, collard greens, lettuce, green onions, garlic, yellow squash, sweet potatoes and strawberries (! 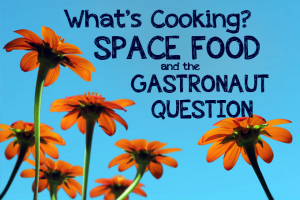 ), we needed to figure out what we were going to cook. Oh, and did I mention that all of this produce arrived the day before we were leaving for Florida? In search of ways to make this delicious bounty last, Tim suggested pesto. 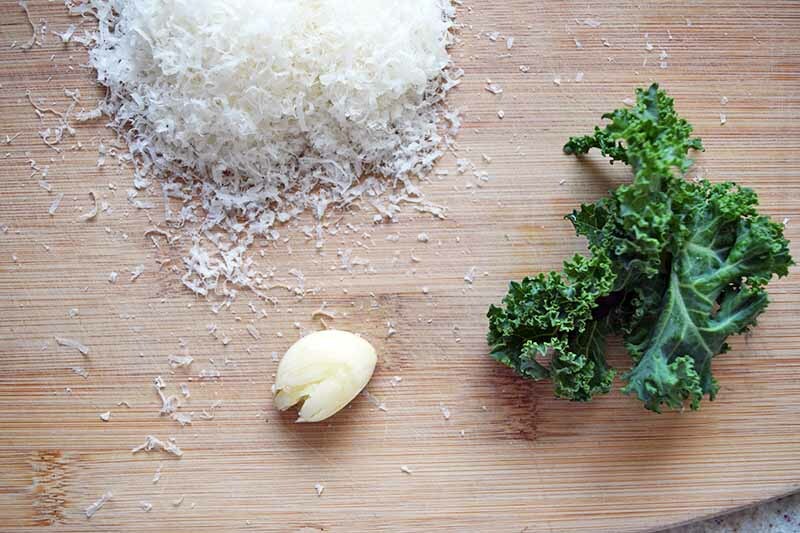 Combining kale with toasted almonds, aged Pecorino cheese, and olive oil was pretty elementary, and maybe it’s something you’ve already done before in your own kitchen. For us, slathered on toast and topped with sauteed tomatoes, it was enough to widen our eyes and have us slapping the table, looking for any and everything else we could spread it on, or stir it into. It was also enough to remind me that sometimes when you like something enough, it doesn’t matter how many other people already do, too. What matters is that it’s good. 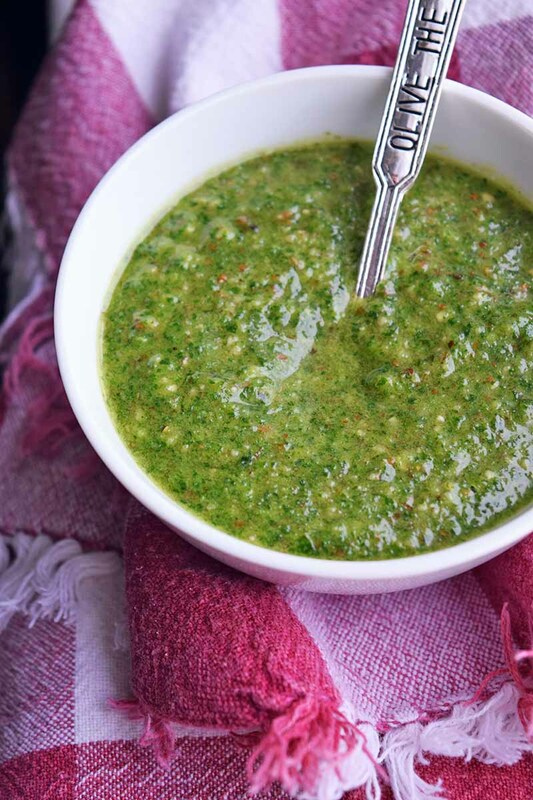 For another way to use this pesto, try it on pizza. We grilled one on Sunday night, topped with pesto, sliced tomatoes, mozzarella, nothing else. And I’m telling you, it tasted as good if not better than any pizza I’ve ever had. 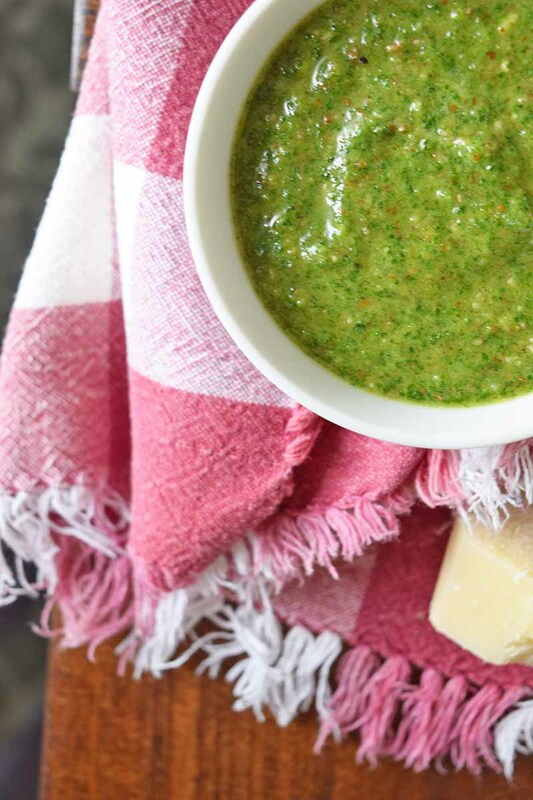 Craving a classic pesto but don’t want to break the bank? 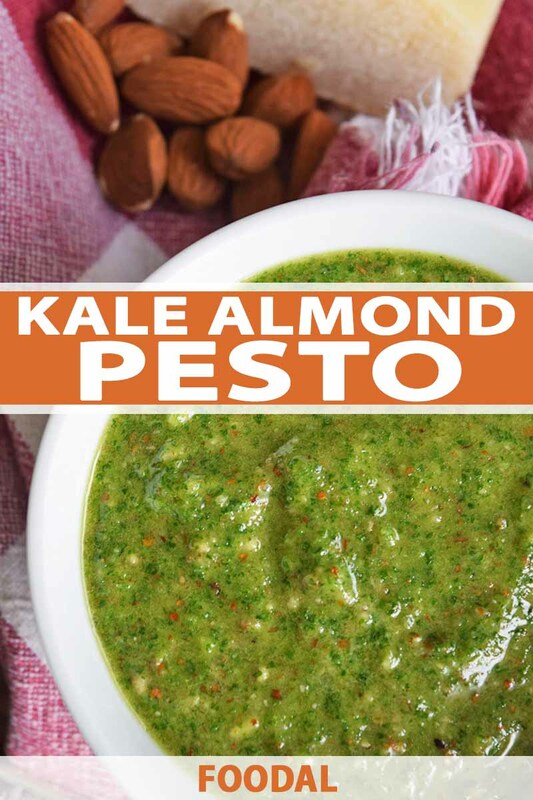 Try this kale almond version. 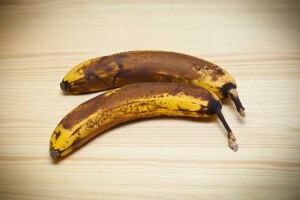 It boasts the same earthy flavor without the hefty price tag. 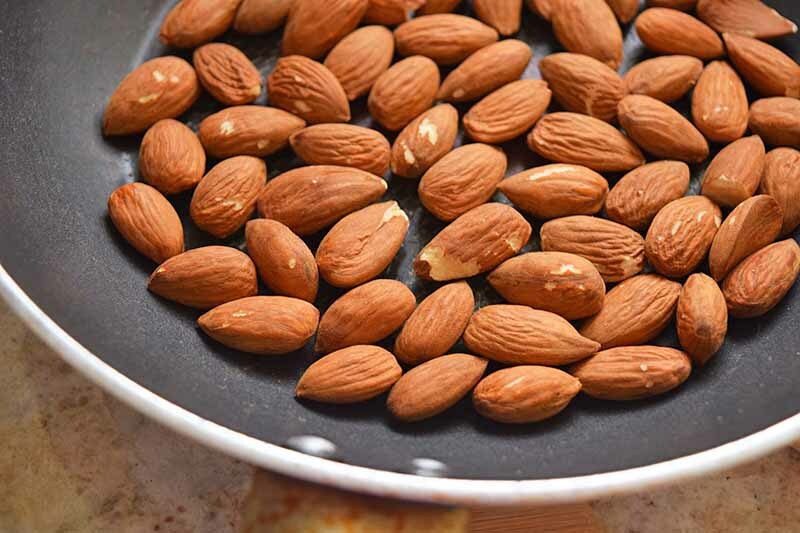 In a small, dry pan over medium-low heat, toast the almonds, tossing occasionally until fragrant and lightly browned, about 5 minutes. 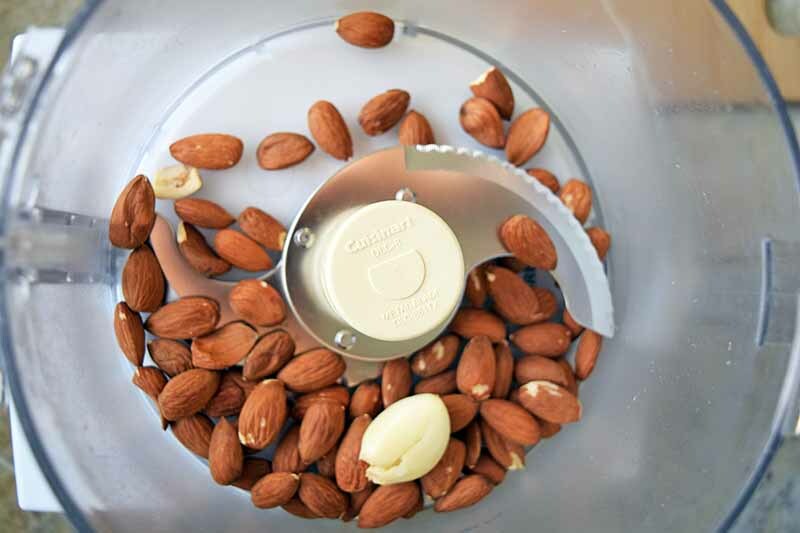 In a food processor, pulse the almonds and smashed garlic with a pinch of salt until finely chopped, about 30 seconds. 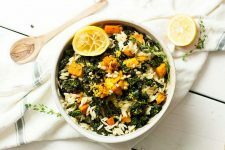 Add the kale, grated cheese, and lemon juice, and pulse until combined, scraping down the sides with a spatula as needed to make sure everything is fully incorporated. 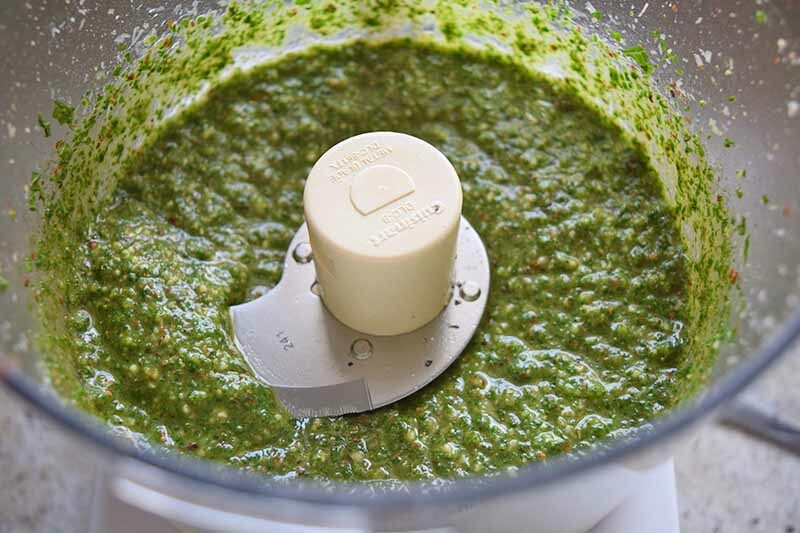 With the motor running, add the oil slowly in a thin stream until the pesto reaches the desired consistency. Season to taste with salt and pepper. 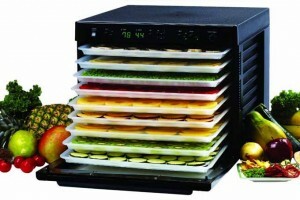 Store in the refrigerator in an airtight container for 5-7 days, or freeze in ice cube trays for individual pesto blocks. 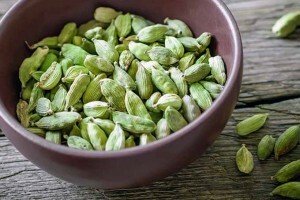 Toast the almonds in a dry pan, tossing occasionally, until fragrant and lightly browned. Keep an eye on them, because you don’t want the nuts to burn! Using the flat side of a chef’s knife, gently but with some force, smack the garlic clove until its shell breaks but the clove stays mostly intact. Pinch the skin from the bottom and squeeze out the smashed clove. 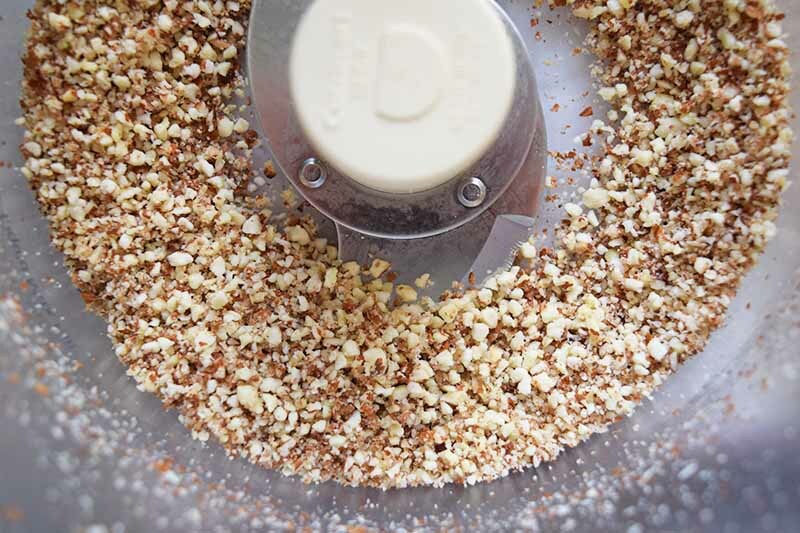 Add the toasted almonds, garlic, and a pinch of salt to the food processor. Pulse until the nuts are finely chopped, but not so much that they form a paste. 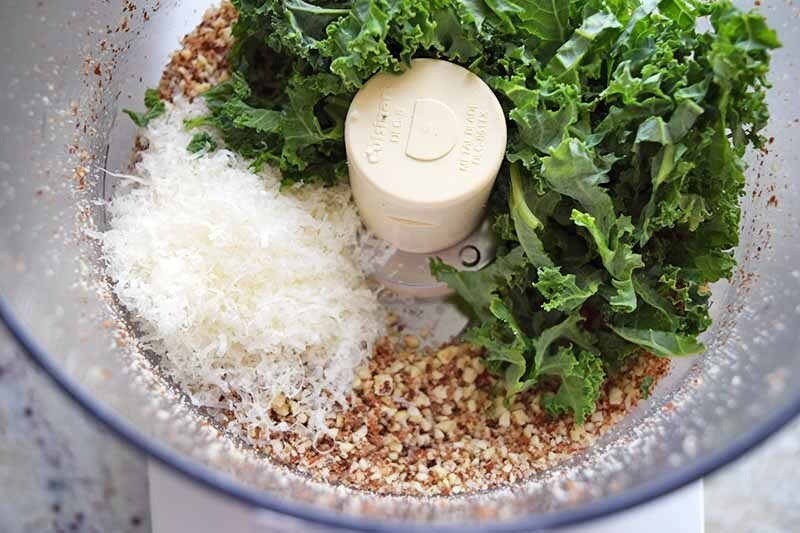 Add the kale, grated cheese and lemon juice to the food processor and pulse until everything is thoroughly mixed. 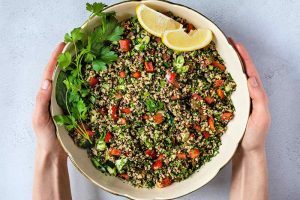 The consistency will look similar to chopped tabbouleh salad. Use a rubber spatula to scrape the mixture from the sides of the food processor to make sure everything gets incorporated. 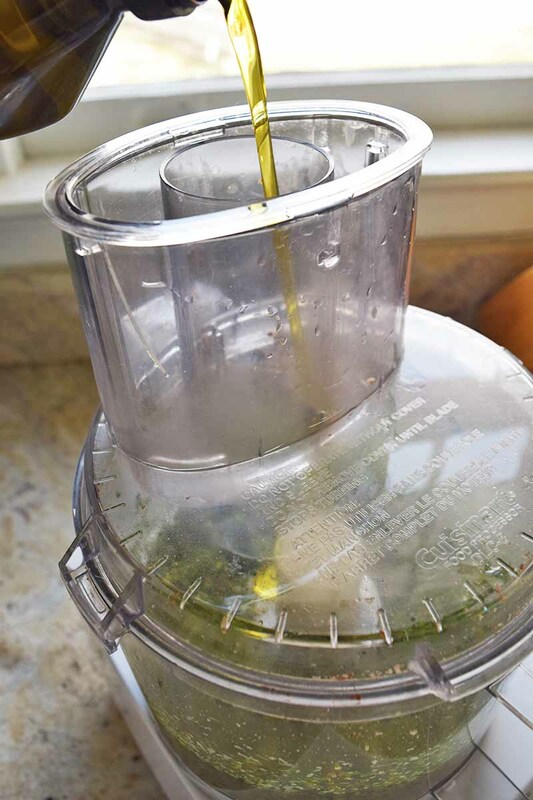 With the motor running at a steady pace, start by streaming in about 1/3 cup of the olive oil. If the mixture is too chunky, add a bit more oil. 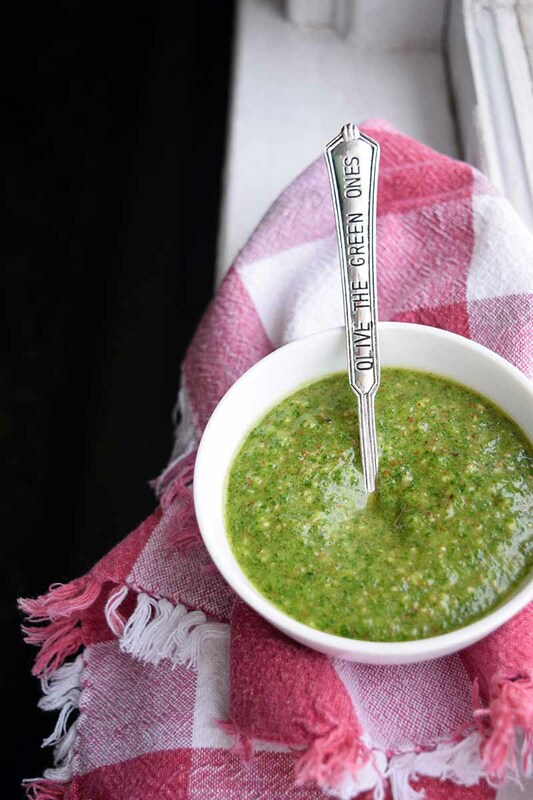 For a more liquid pesto, continue adding oil until the consistency is velvety and smooth. Season to taste with salt and pepper. What Will You Put This Addictive No-Cook Sauce On? 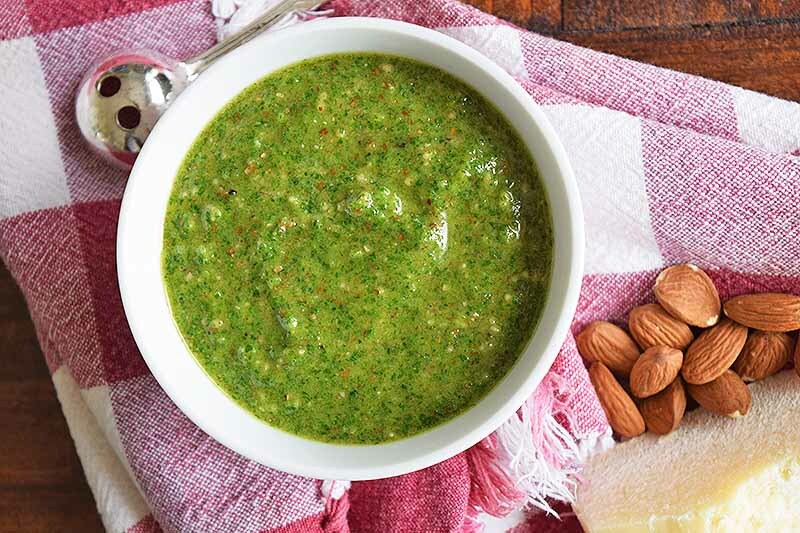 Thanks to a zippy burst of garlic and a healthy handful of greens, this pesto is a lick-the-bowl kind of condiment that you can feel good about finishing off. 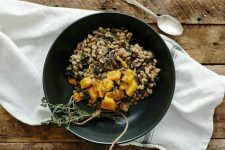 And besides toasting the almonds, there’s no cooking required to make this tasty recipe, no hot stove to hover over and no steamy oven to heat up the house. 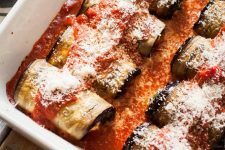 Can’t find Pecorino cheese? Classic Parmesan still packs a nutty punch. 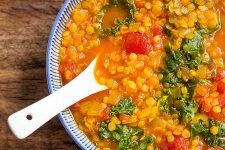 For a vegan version, try substituting nutritional yeast for the dairy. 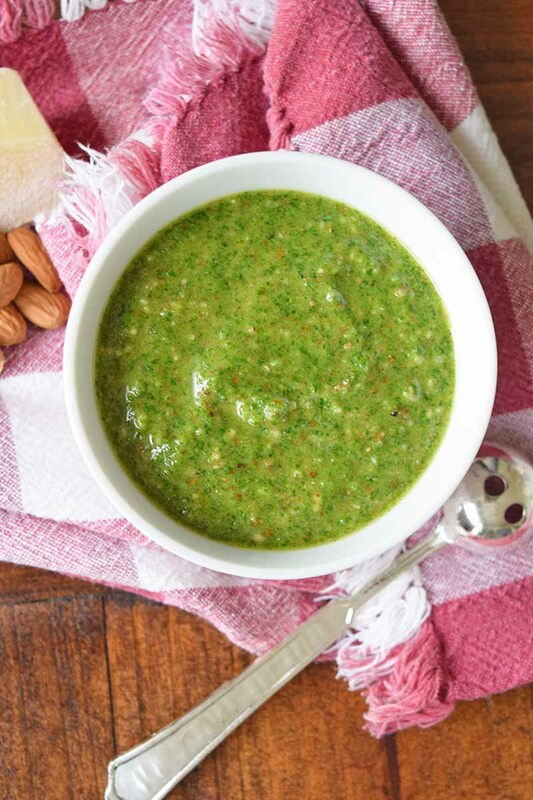 And for a pesto that truly screams “green things gone wild,” swap in pistachios for the almonds. Omelets, flatbreads, pasta, your face? Where else will you dollop this savory spread? 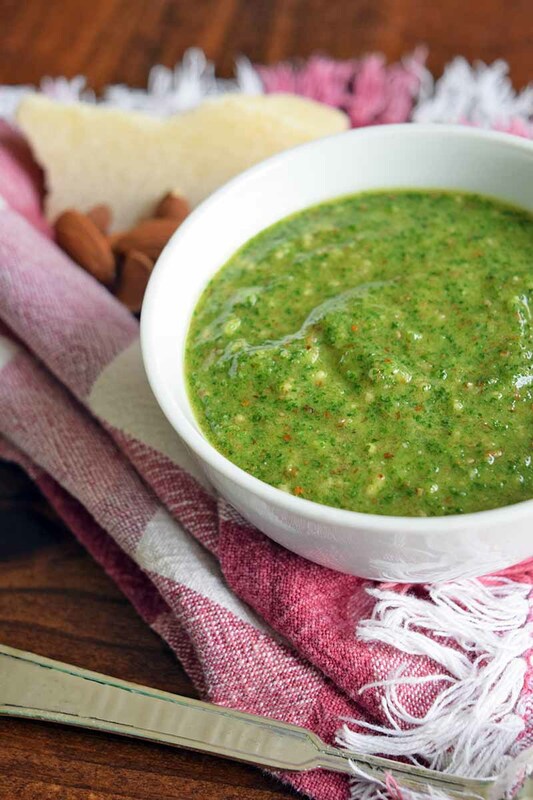 Share your favorite pesto partners in the comments below! 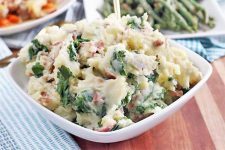 And don’t forget to give this recipe a five-star rating if you loved it. Photos by Fanny Slater, © Ask the Experts, LLC. ALL RIGHTS RESERVED. See our TOS for more details. Originally published on June 1, 2012. Last updated: March 28, 2019 at 15:27 pm. With additional writing and editing by Allison Sidhu and Fanny Slater. You articulated this dilemma perfectly! I have felt this as well — wanting so much to go against the grain that I’m tempted to abandon something I love just because it seems everyone else suddenly loves it too. But you are right: sometimes you must keep loving the popular thing because it is good, and THAT is the point. Thanks for the reminder! hooray for Kale! 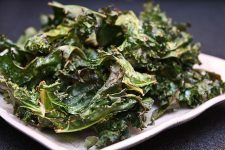 i will admit to being a relatively recent convert to the veg, when the craze of kale chips came along. i wish i can cite the reason that it’s not in everyday viet food but it’s really because the previous preparations were not great. Loved this pesto. Love this post. Love you. What a fantastic post! 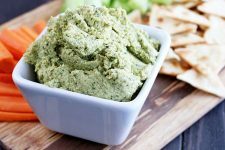 Pesto is one of those classics that’s fun to play with – a different green or nut, a new cheese. 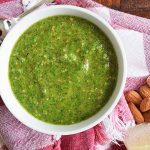 I recently made one with a mix of raw asparagus, basil, pecorino, almonds and a big kick of lemon. But I haven’t tried kale, and now I will. The bruschetta you’ve pictured at the end looks so inviting. Thank you. I love the way you describe pesto. You’re right: there are probably all kinds of different ways to mix it up! Your asparagus version sounds interesting–thanks for the tip! 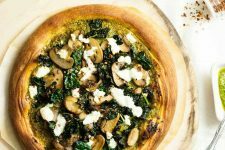 So, I got on your blog to get your cauliflower pizza crust recipe because I was planning on making a pizza with… kale pesto. How perfect! Love it–cauliflower pizza is a great way to put that food processor to good use! : ) Hope you guys liked it! Oh man, we LOOOOVE kale around here. 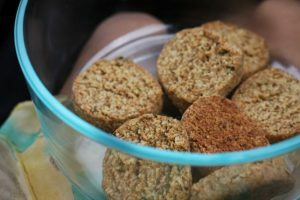 Thanks for the recipe – it looks easy enough, and omg so good! I think I shall do this the very next time we have kale…and hopefully soon that will be kale from our garden! Your own garden with kale!! What a dream! I have always liked kale, and this is another great idea. Thanks for sharing! this was fantastic! just made it tonight in a big batch, and ill freeze leftovers in ice cube trays. i gave it to the kiddos (2 and 4 years old) on some noodles, and im having it myself later on some ground lamb over thai rice noodles. thanks so much! i love kale but i end up drowning in it and needing more and more ideas for how to process it all. Love hearing that, Amanda! Thanks for coming back and saying what you thought! PS we had it for dinner again tonight. SO good! Your kale photos are absolutely gorgeous!! WOW!!! My mouth is watering just looking at them… especially since kale does not exist in Paris! 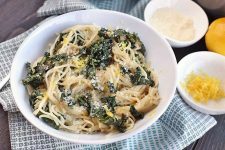 I can’t wait to try this recipe when kale finally gets to Paris! I don’t know why I didn’t think of this! I made arugula pesto the other week. 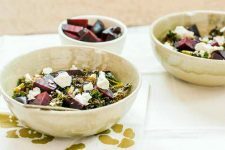 I’ll have to make this when I get my next CSA box. Just made two batches. I’m going to try it with arugula next. Sure wish you lived closer as I have more kale and arugula in my garden than you could imagine! Thanks for the post! Yay! Love that! And I wish I lived closer, too. Can’t ever turn down fresh greens!